I recently finished the Feb 2. accommodation LSAT today, but had a very large issue. About 3 minutes into section 5, a light started flashing and an emergency alarm went off. The alarm continued for about 30 seconds until our proctor had to stop the clock and leave the room to see what was going on- he was afraid it was a fire or an active shooter. While my proctor went to check, the other testing rooms started to evacuate. After a bit, the proctor came back in the room and told us to wait for an update. Finally we got the “ok” from the director that everything was fine. We started the clock again, but were interrupted for a second time. This time a voice came over the speakers to tell us that everything was fine, three times. However the proctor did not stop the clock. By this time all of us were confused and distracted, and it was just not good. I could not focus and did not finish the section, Logic Games. Once the test was finished, a group of testers got together to share their experiences as well, none were happy. To be distracted by a very odd-putting alarm, twice in Logic Games can make the difference between a 170 and 157. That section could have taken a $200,000 scholarship away from me and other students. Many of us have to send our applications in by Feb.15, the score release safe, but know we lost a chunk of points. The LSAT is a huge time commitment, and not cheap. We do not want to wait until the next test, because we simply can’t, and do not want to pay for another test as this was out of our control. I am writing to you to see if a situation like this has happened before, and if you know what we should do. I'm so sorry you ran into this problem I know how difficult it can be when you are interrupted during such a crucial exam. 1.They will open an "investigation" into the issue and put your scores on hold (the hold will typically extend your window of cancellation, fyi). 2. Usually they conclude that the disruption was beyond their control and does not warranted a new, special makeup. In your case, they will without question conclude this. They've made the same judgment many times before for fire alarm issues. 3. They will then offer you a choice: A. Keep your score and have a note put into your file about adverse testing conditions; B. 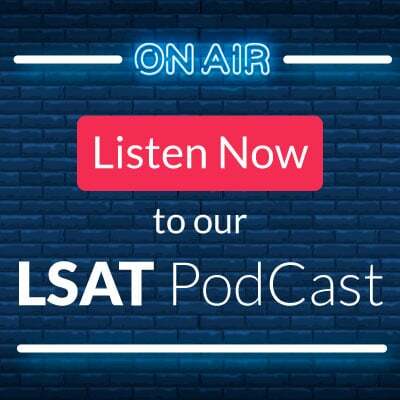 Cancel and you can retake an upcoming LSAT for free. 4. That's it, the above is all they will do. So, no matter how many people complain or how much you explain the consequences, the result is almost always the same. It takes a severe issue—an evacuation of the area followed by closure of the test site, for example—to get an immediate makeup. I really appreciated your informational reply and I wanted to write back to you after I received an update from the LSAC regarding this matter. -Does the LSAC score the re-take in concurrence with how other students placed when taking the same LSAT in the past? I assume it will be a previous non-disclosed test, and am wondering how my score will be scored since not many people are taking it with me. -Being that this coming LSAT is still be considered the "January LSAT", a few of the schools I applied to are confused as to why they have not received my January score yet. I told them about the issue/re-take, but I do not know what to tell them about my score release date. My LSAT account does not list when the score will be released, do you have an input regarding a timeframe for my score? Thank you for sharing your knowledge with us all! 1. Does the LSAC score the re-take in concurrence with how other students placed when taking the same LSAT in the past? I assume it will be a previous non-disclosed test, and am wondering how my score will be scored since not many people are taking it with me. 2. Being that this coming LSAT is still be considered the "January LSAT", a few of the schools I applied to are confused as to why they have not received my January score yet. I told them about the issue/re-take, but I do not know what to tell them about my score release date. My LSAT account does not list when the score will be released, do you have an input regarding a timeframe for my score? 1. It will be a previous nondisclosed test, and they will use the data from that exam to score this test. It will be like any other LSAT they give, and ti will be fair. So, if this is an old Feb test, for example, they will use all that info to form the scale. 2. They will score and release your scores quite quickly. You will have your score within 5 days most likely, and probably even faster. Also, if you post back here after the test as to your LG/RC/LR topics, I should be able to identify your test very quickly! Any idea which one could have been experimental? I know the last LR was real, as it had 25 questions, but I do not know which one between the first two LR sections was real (both had 26 questions). Glad to hear you figured out which test it was from what we've posted! the bad news is that there is no way for us to know which LR section on your test was th Exp. that's because they place those Experimentals in different slots so while Section 2 might have been LR Exp for you, the LR might have been section 3 for someone else. One thing we basically can assume is that it wasn't section 5, as there hasn't been a section 5 Exp yet. So, we can narrow it down to 2 or 3, which is a start! Thanks and I hope it went well!